At Naked Snacks we work hard to make sure we offer so much more than just convenience. Our products are also designed to be extremely versatile. We love reinventing our flavours into easy and nourishing recipes to suit any busy lifestyle. 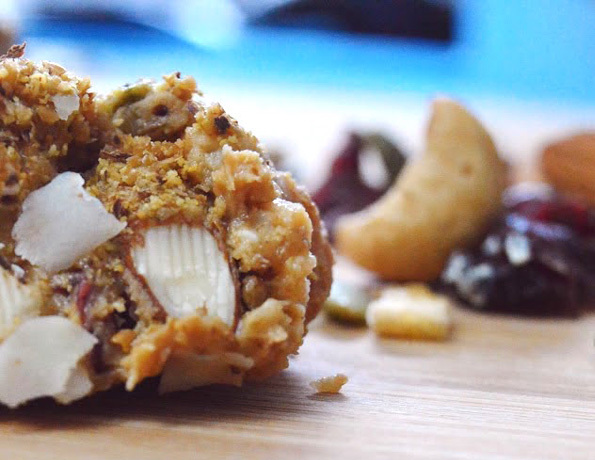 At the moment, our kitchen is completely fawning over these incredible High Energy Yogi Balls! With no actual baking required, these Yogi Balls are super easy to whip up on a Sunday night to prep for the busy week ahead. Use as a snack to grab-and-go or as a pre-workout energy boost, we promise they’ll satisfy any sweet tooth craving. Plus they’re filled with just 4 simple ingredients that are readily available in your pantry. 3: Once chilled, roll into apricot-sized balls and voila! A perfect snack for any occasion. These Yogi Balls can be stored in an airtight container and kept in the fridge up to a week for your snacking pleasure. Feel free to mix up the Naked Snack goodness, as Tuscan Road Trip, 3PM Goji, or Super Seed Sprinkles would be equally as delish. 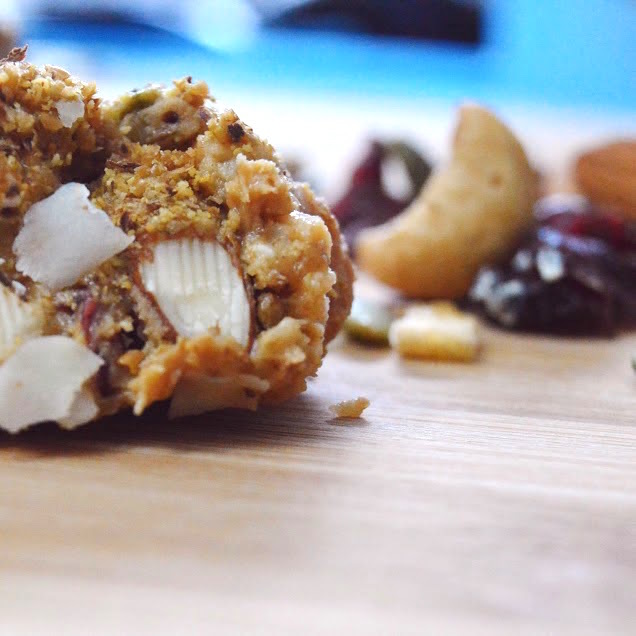 Planning on making our High Energy Yogi Balls? Tag @mynakedsnacks on Instagram to show us how they or other recipes have turned out, we’d love to see your culinary creations. Bon appetite!